NO MORE LEAKS! - Say goodbye to your frustrating old leaking hose! 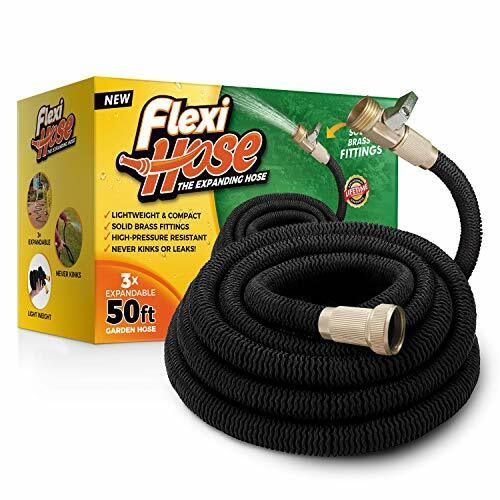 FlexiHose\'s solid 3/4 Inches brass connectors & double latex pipe ensures leaks are a thing of the past! Complete with a sturdy on/off valve, the super-strong FlexiHose can withstand up to 12 BARS of water pressure, up to temperatures of 113℉! LIFETIME REPLACEMENT GUARANTEE - We\'re so confident in the quality of the FlexiHose, that we\'re proud to offer an unparalleled LIFETIME REPLACEMENT GUARANTEE. If you ever have any issues with your FlexiHose, simply contact us and we\'ll expedite you a new one absolutely free or refund your payment in full! If you have any questions about this product by Flexi Hose, contact us by completing and submitting the form below. If you are looking for a specif part number, please include it with your message.